MEET THE TEAM - Elation Dental: Best Dentists in Croydon South, Ringwood, Heathmont, Bayswater, Kilsyth and surrounds! Elation Dental is a team of dental professionals with over 50 years of combined experience. We are a great group that loves working together! Learn about us here - and don't forget to like Elation Dental on Facebook! Dr Tina So is a general dentist who can look after every aspect of your care - taking care to make sure you understand all aspects of your treatment, and explaining all your available options. Tina has a relaxed and caring approach to treatment - extremely thorough, and able to help you feel relaxed and at ease that you are in good hands. 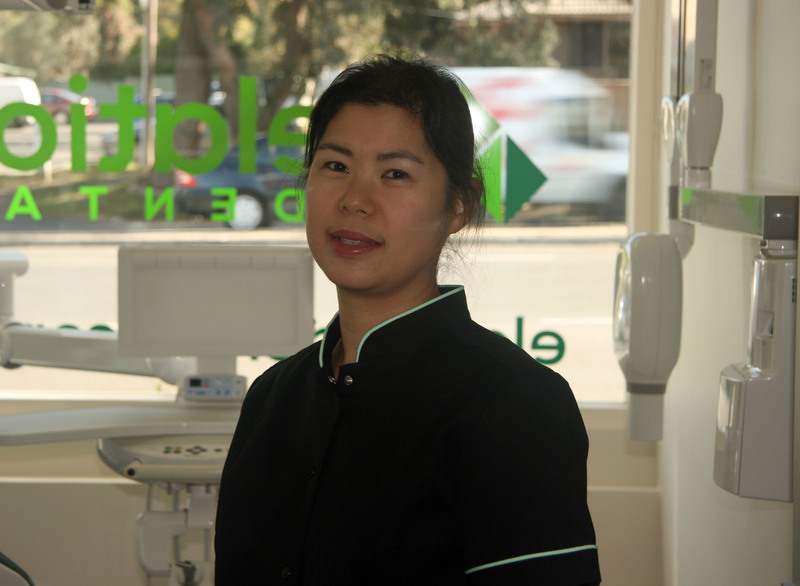 Since graduating from The University of Melbourne, Tina has worked in public & private clinics across Melbourne, including Verdant Dental in Niddrie, Victoria before designing and establishing Elation Dental. Tina speaks English and has an understanding of Cantonese. She enjoys experimenting with all kinds of cuisine and trying to recreate exotic dishes at home, and also hosts dogs ("petsitting") whenever possible. Dr Tina So is available on Wednesdays and Fridays. Click here for an online appointment! Dr Tim Wenas is a general dentist at Elation Dental. 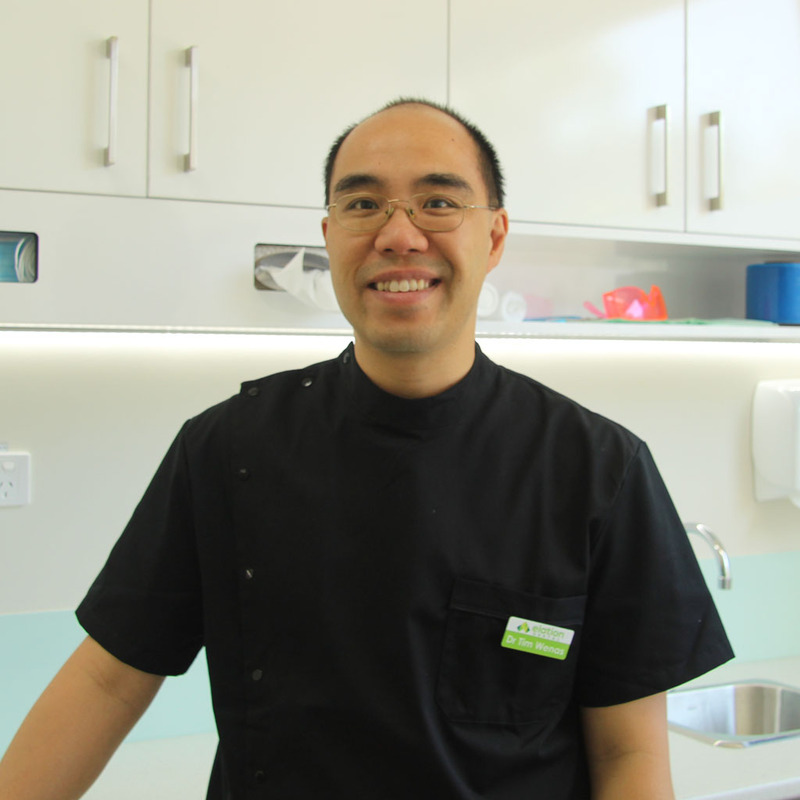 Tim also practices at Verdant Dental in Niddrie, Victoria. Tim believes in treating all patients with kindness, understanding and a bit of fun. Getting your teeth checked and fixed is a lot different to the bad old days! 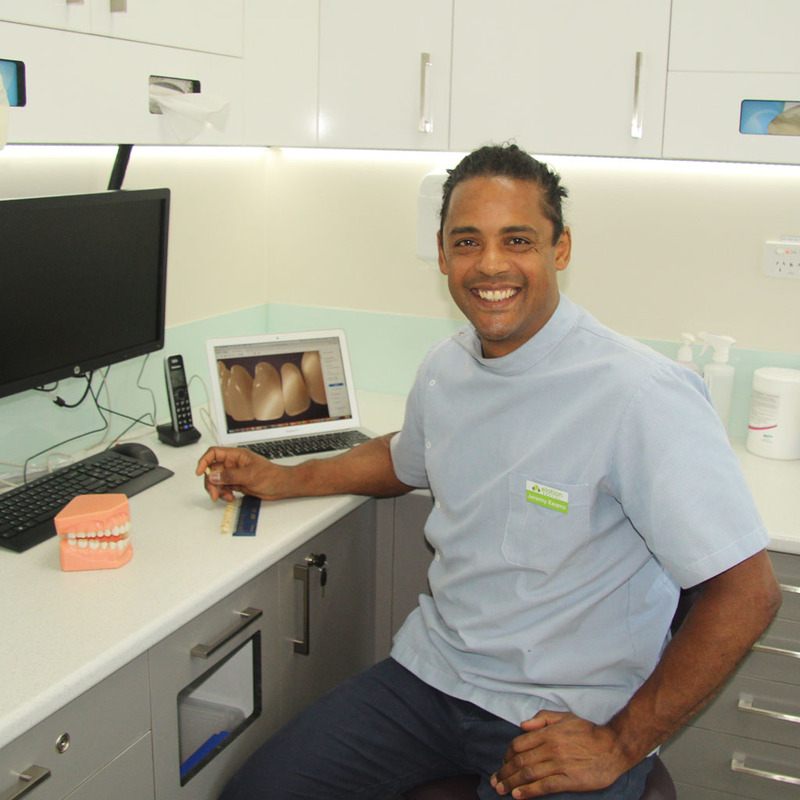 Tim will provide you with a comprehensive report of your dental health, using photographs, intraoral cameras and models to help you understand and treat your problems. If you've been in Croydon long enough, you might remember Tim as a young boy selling Tattslotto for Eastfield Pharmacy next door back in the 1990s! Tim speaks English (with a small amount of Japanese and Indonesian/Bahasa Malayu). He loves being hands-on, building things around the house and particularly fixing and racing old Japanese turbo cars. Dr Tim Wenas is available on Tuesdays and Thursdays. Dr Madeline Townsend is a general dentist at Elation Dental. Madeline has worked in the eastern region before - so if you live around Ringwood, Wonga Park, Chirnside Park and the surrounding areas, you may already know her! Madeline engages in all aspects of general and family dentistry - whether you just need your regular checkup, to a complete overhaul, Madeline will make you feel at ease with her gentle, thorough and easy-to-understand explanations. In particular, Madeline has an amazing ability to tackle dental extractions, so if you think you might need a tooth removed, contact us to make an appointment to see Madeline! As an ex Tintern girl, Madeline enjoys getting into the outdoors as much as possible, preferably with a camera in hand to capture the natural beauty of our world. Dr Madeline Townsend is available on Mondays and Thursdays, plus additional days on request. Mr Jeremy Kearns is a Dental Prosthetist. Jeremy is our expert on all things relating to dentures ("false teeth"). Do you need new dentures because your old ones are worn down or old? Have you dropped or cracked your dentures? Has a teeth or wire come off and needs replacing? Had enough of too many gaps in your teeth and looking to get your smile back? As an advanced dental technician and prosthetist, Jeremy handles all of Verdant Dental's prosthetics works. His vast experience includes manager of the Royal Dental Hospital's technical laboratory, and he is capable of constructing artistic dental prosthetics (dentures or false teeth) to the highest standard. Jeremy still maintains links to the Dental Hospital by lecturing dental students in prosthetic design and construction. Jeremy speaks English, and his family comes from nearby Warburton. When not at Elation Dental spends most of his time in the great outdoors hiking, biking, snowboarding, surfing and more! To make an appointment to see Mr Jeremy Kearns on a Friday/Thursday (days varying depending on Jeremy's teaching schedule), please call us on (03) 97252029 for an appointment! 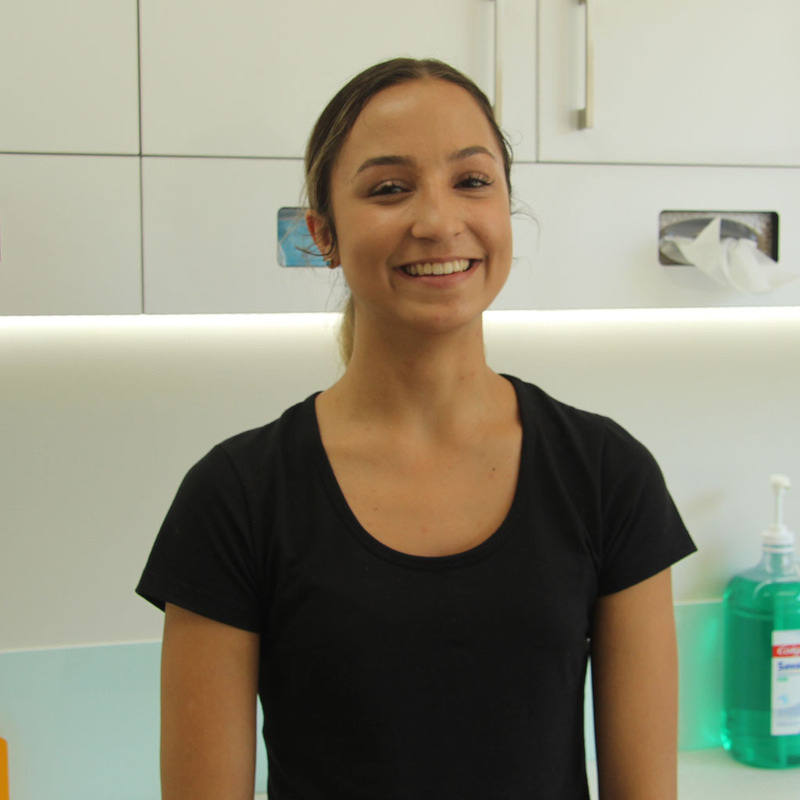 Taylah is our amazing dental assistant at Elation Dental - if you call us on 97252029, you're most likely to speak to her to make your dental appointments! Taylah is gentle, funny and talkative, and loves music, festivals and everything else fun in life. If you've got a problem that needs attention - we'll always do our best to fit you in for a same-day emergency appointment. We're usually very fully booked up, but with spare treatment rooms available we may be able to double-book you in order to make sure your emergency is seen to as we hate turning anyone away, especially if you're in pain.